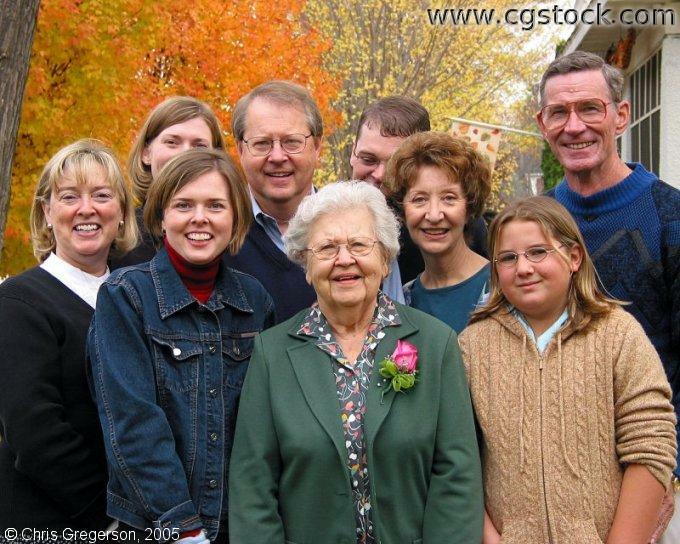 This is my Grandmother and other family on my Mom's side. My Grandmother, Alice, is at center. Behind her are my Uncle and my Mom. I'm behind the camera.